20 Years in Private Practice with Adults and Couples. Invite my expertise to assist you with your journey. When the early excitement of falling in love fades, differences which once felt trivial become the source of disagreement and frustration. In a safe and confidential setting, I welcome individuals and couples into my private practice to improve their communication skills, increase their positive self esteem, and restore the connection in their primary relationships. Is Your Child Struggling at Home, at School, with Friends ? I am here to help you live the best life you can. 30 years of experience with children and adults. Dedicated to awakening the greatest potential in you! 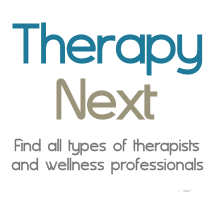 I provide psychotherapy to adult individuals and couples. Therapy can be a place where you can bring about enormous change in your life. I can help you learn how to create the change you are seeking. I offer a safe and supportive therapeutic environment for exploration of whatever concerns and problems you might be experiencing. Your own love and kindess is your birthright. This is where you claim it.